This month we have chosen an Island Single Malt and both Jim and Nicola had a wee taste of this smashing dram when we visited “Arran on the Square” in Glasgow last month. This distillery bottling was released in the second half of 2010 taking over from the 12 year old which only appeared in 2008. 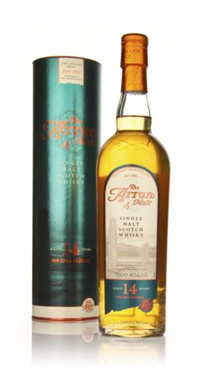 Like all of the Arran Malts this dram has not been coloured or indeed chill-filtered. 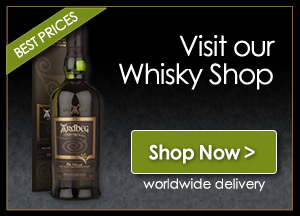 This fine dram can be found in your specialist Whisky shop and on-line and certainly via the Arran Distillery Shop. Arran Distillery had their second open day at the end of May and it sounded as if it was a resounding success. Whilst Jim and Nicola were at “Arran on the Square” where we met many of the staff from the distillery, we did promise Faye that we would give her a call and take a trip over to visit the distillery and have a wee tour and a dram or two, and all our readers can look forward to that review.